Ap Deal Store themes has been purchased 23, rating: 4/5 based on 4 reviews. Ap Deal Store is an excellent Shopify theme for online stores. This is a beautiful and modern design that easily attracts customers at first sight. In addition, Ap Deal Store is suitable for many kinds of stores such as fashion, apparel, furniture, electronics, watches, etc. In addition, it comes with tons of powerful modules like SEO, Mega Menu, Revolution Slider, Slideshow, Ajax, Google Rich Snippets, Google web fonts, Ajax Product Filters, Quickview, etc. 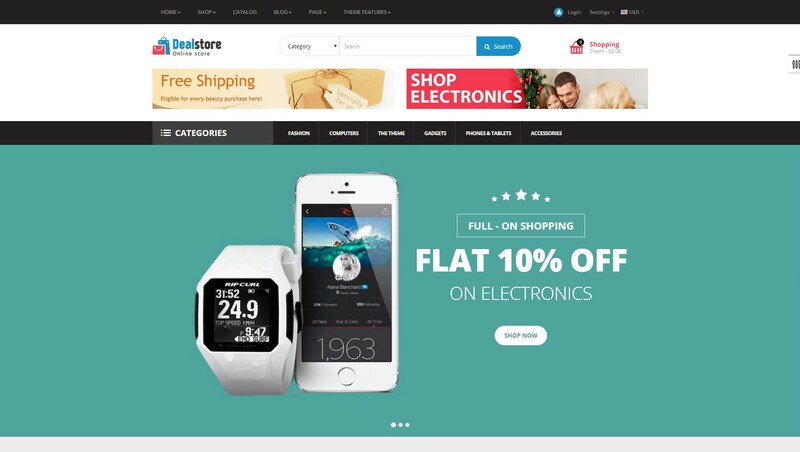 It’s time to select Ap Deal Store Shopify theme for your e-commerce store.